Nectarines are varieties of peaches, whose skin is smooth and shiny. They have a melting and juicy flesh. Nectarines are produced in Europe from early May to mid-September.They are refreshing and hydrating thanks to their high water content. They are excellent healthy snacks and low-calorie treats. Plus, its high vitamins C, B3 and folic acid content, makes them interesting from a nutritional point of view. Their melting flesh and subtle taste match with both sweet and savory dishes. White flesh nectarines: Flavela, Diamentina, Boreal, Garcica, Equinox, Burma, Tifany, Opera and Timotea. Testarossa and Diablotina are the first varieties of a PSB’s range of red fleshed nectarines. Already 3 varieties of yellow fleshed and yellow skinned nectarines are available: Arcadia, Daytona and Macarena. 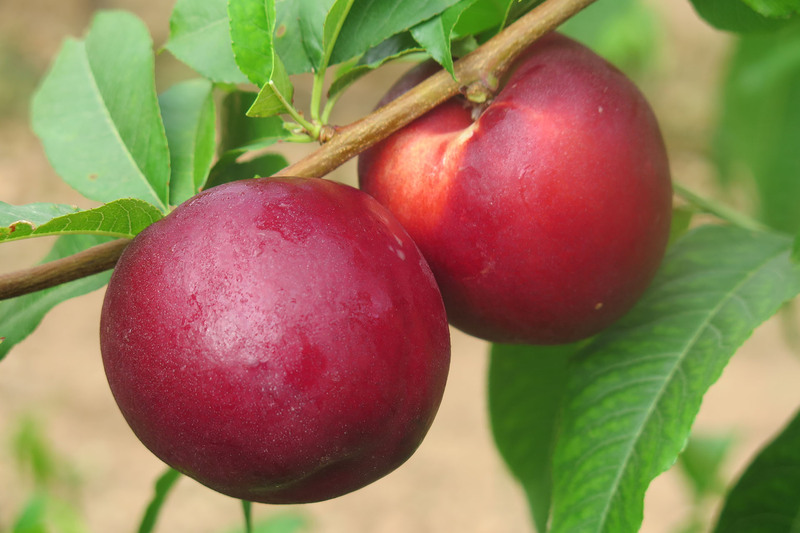 Our researches are also focused on flat-shaped nectarines, such as Pasionata (white flesh) already available.